Paneer/cottage cheese is a soft cheese obtained by acid and heat coagulation of milk. It is the best vegetarian protein source and also loaded with calcium, vitamins and essential minerals. 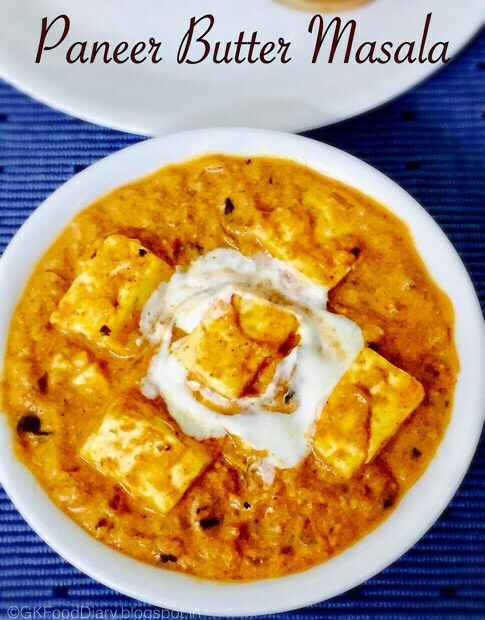 Paneer can be made easily at home. Also, it is easily digestible and makes delicious food for babies and Kids. Here are some ways to include this vegetarian delicacy in your baby’s diet. 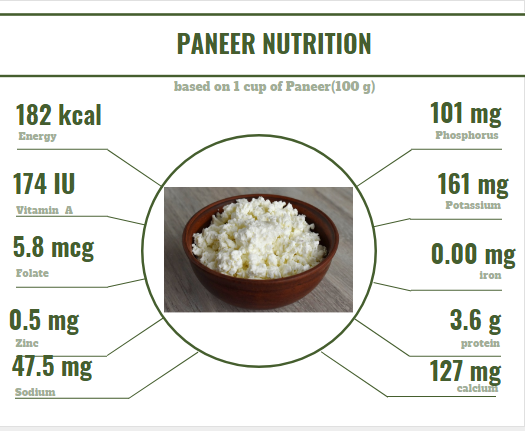 Read more to know information about the nutritional benefits of paneer, how and when to introduce paneer to the baby etc. 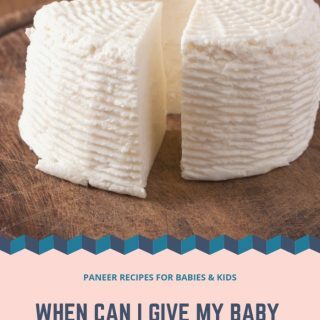 When can I introduce Paneer to my baby? 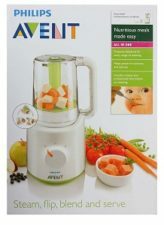 Though cows milk is not recommended for babies below one year, panner can be included in babies diet from 8 months after introducing basic vegetables and cereals. As the dairy products like paneer, yogurt or cheese are produced by curdling enzymes and lactose is broken down to smaller protein molecules which makes it easily digestible. Hence it is entirely safe to introduce paneer to your baby before one year. If your family has a history of milk allergy or lactose intolerance, discuss with your baby’s doctor before starting panner to your baby. 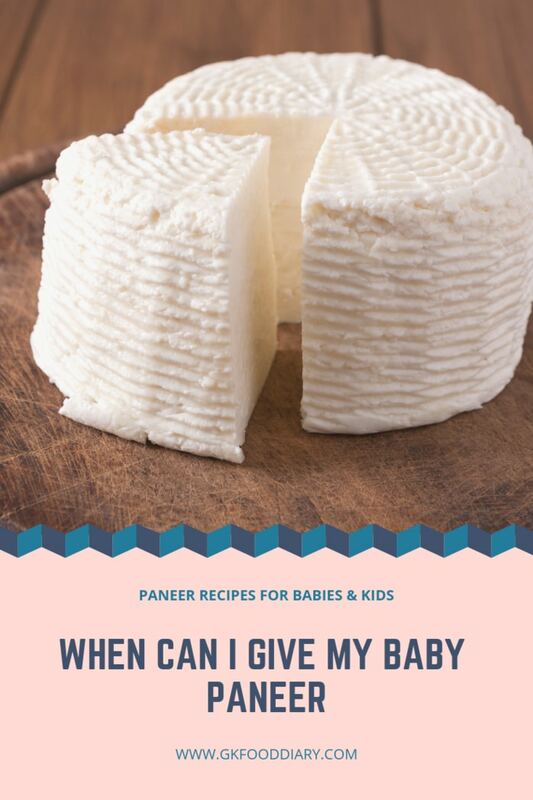 When you introduce paneer to your baby for the first time, you can offer as paneer puree. Otherwise, crumble or chop homemade paneer after soaking in warm water for 2-3 minutes and give your baby. You can also fry the paneer in ghee and offer as finger food to your baby. Start with 2-3 small cubes of paneer and gradually increase the quantity based on your baby’s tolerance level. Paneer is readily available in grocery stores. 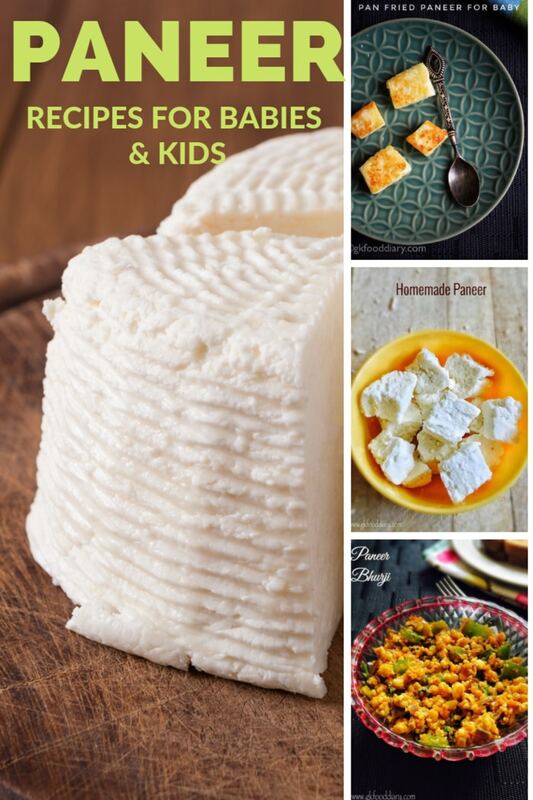 But for small babies, its recommended to give homemade paneer as its safe and best. Make paneer at home with full-fat whole milk for the baby and prefer giving fresh paneer pieces to your baby. 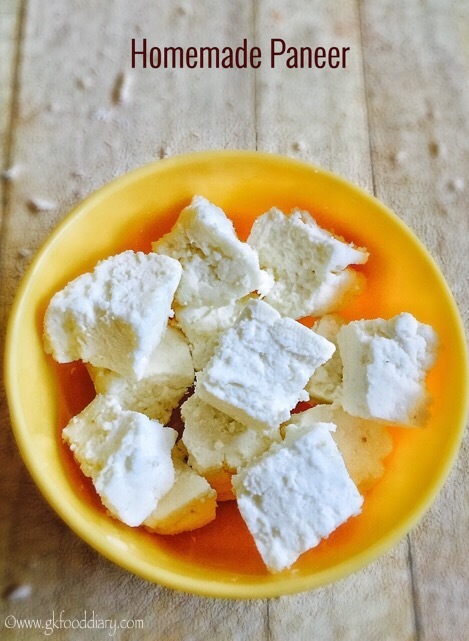 Homemade paneer stays good for 2-3 days in the refrigerator in an airtight container. If the paneer turns sour after a few days, avoid giving it to your baby. Here are some recipes to include paneer in your baby’s diet. 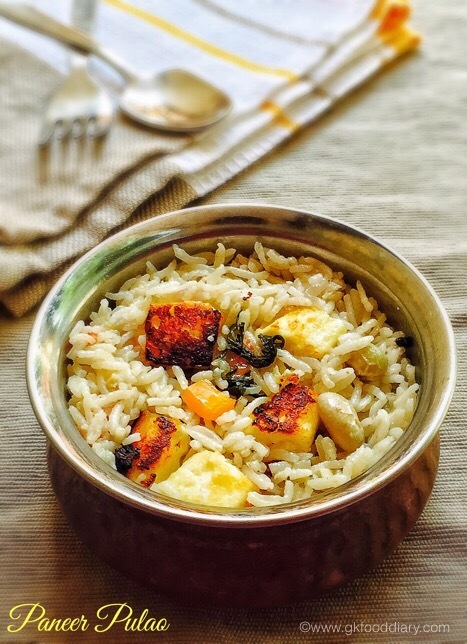 If you’re starting on paneer recipes for your baby, this is an ideal recipe, to begin with. 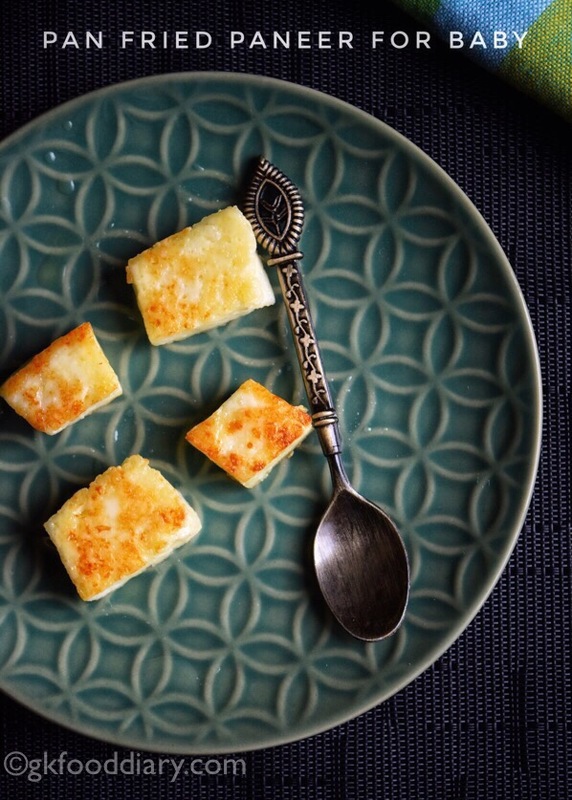 Homemade paneer is fresh and soft which is perfect for babies. You will not go in for store bought ones once you start making paneer at home. Paneer Fruits Puree/Cottage Cheese Puree is nutritious calcium and protein packed puree recipe for babies with Paneer aka cottage cheese and fruits. Spinach Paneer Puree is a smooth, tasty, and healthy puree with spinach leaves and paneer. 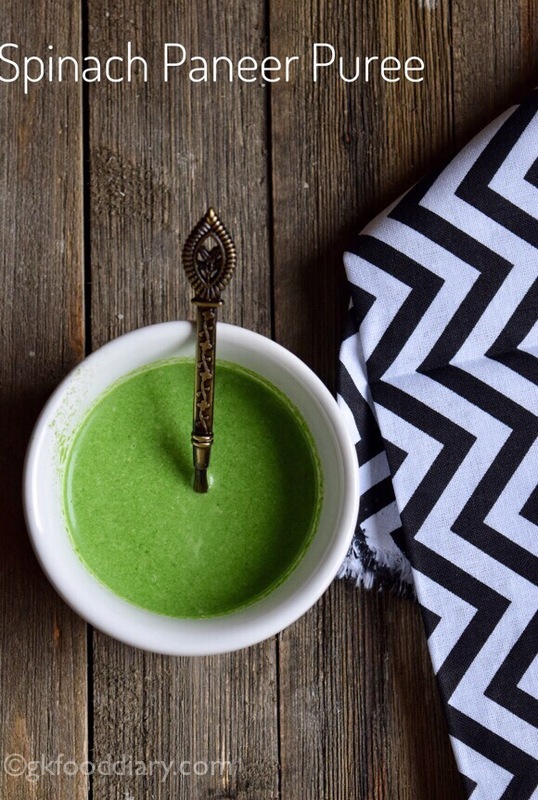 Curd/Yogurt adds to the goodness of this easy-to-make spinach panner puree. Paneer omelet is an easy, quick, tasty and healthy calcium-rich omelette recipe with eggs and paneer aka cottage cheese. 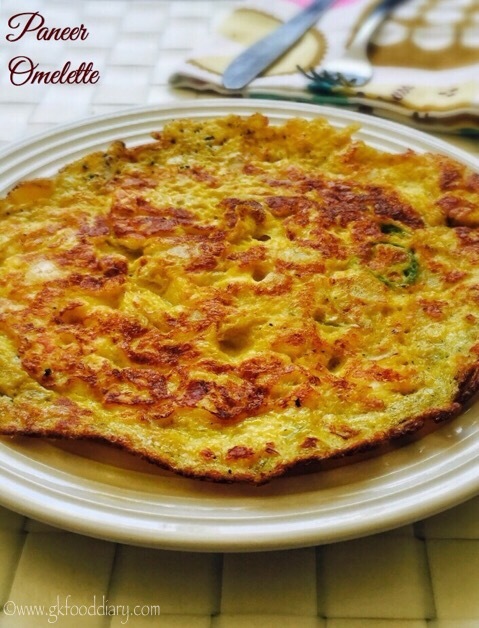 This paneer omelette is a perfect breakfast for kids as its quite filling and wholesome. 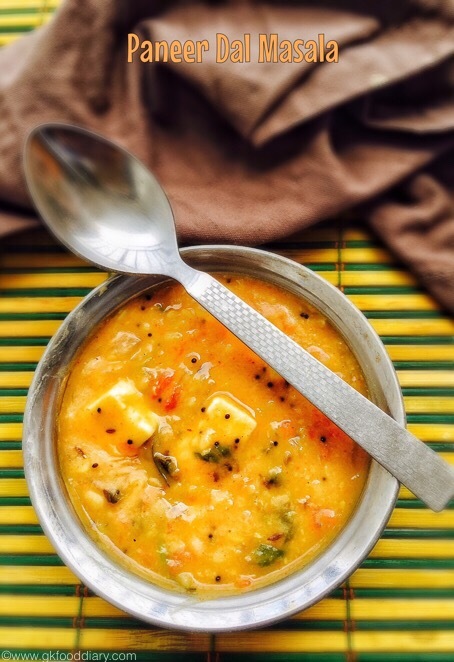 Paneer dal masala is an easy and comforting dish for babies and perfect for lunch. It goes well with rice, Chapati or Roti. 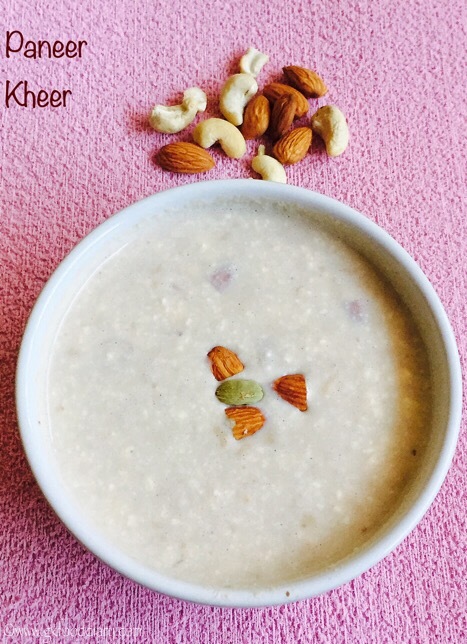 Paneer kheer is a simple and delicious pudding/kheer made with Indian cottage cheese or paneer, milk, and nuts. This paneer kheer can be given to babies from one year, make sure to use powdered nuts for small babies. 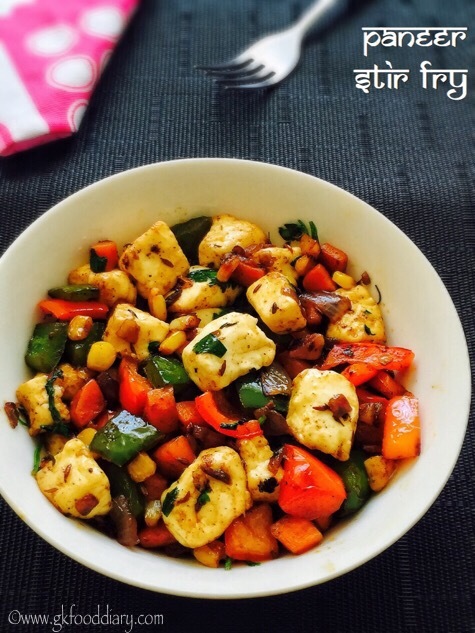 Paneer Stir Fry with vegetables is an easy, tasty and healthy dish for toddlers & kids made with paneer and mixed vegetables. 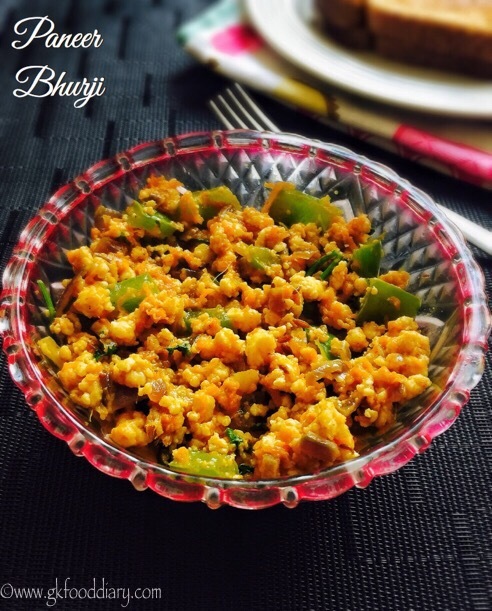 This paneer stir fry can be perfect as a side dish with roti/chapati, jeera rice or even plain rice, also best as finger food for babies. 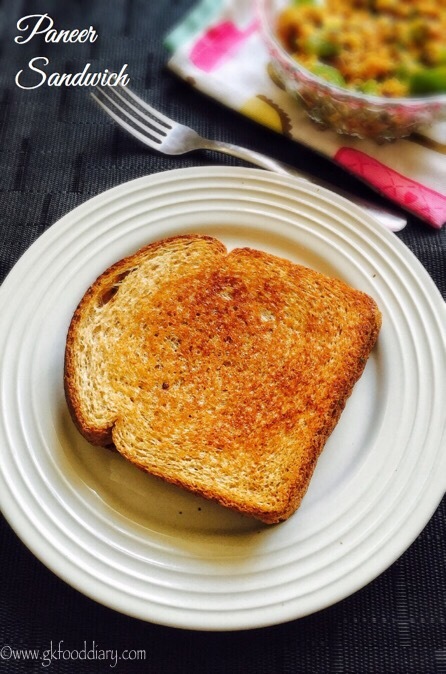 A tasty and healthy sandwich recipe made with paneer, whole wheat bread, and vegetables. This protein-packed paneer sandwich is one of the best ways to include paneer in kids diet and its also super healthy as its made with whole wheat bread. 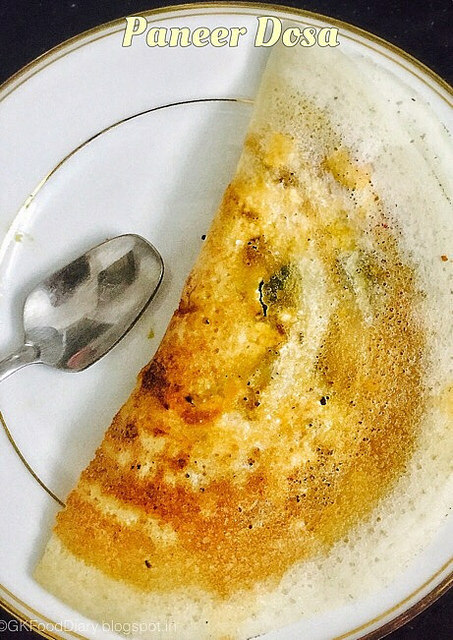 Dosa made with crumbled paneer and capsicum. 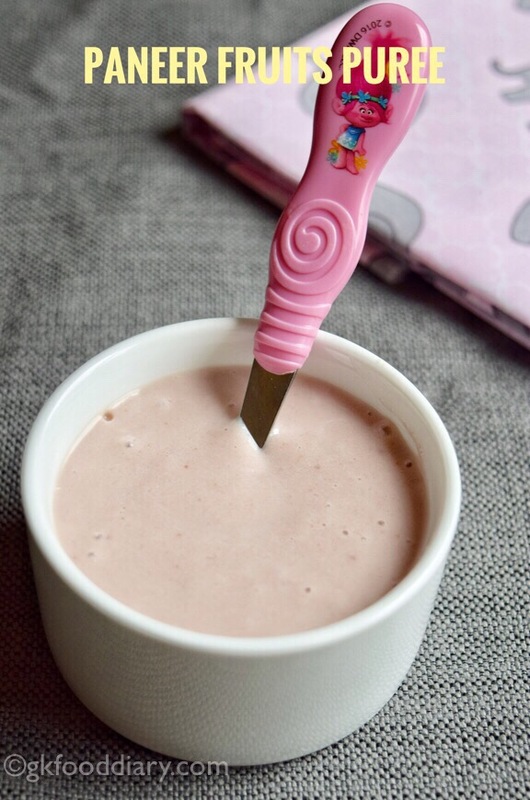 It is an easy and filling breakfast option for toddlers and kids. Creamy tomato based gravy made with India cottage cheese aka paneer in restaurant style. It goes well with rice, Chapati or Roti. 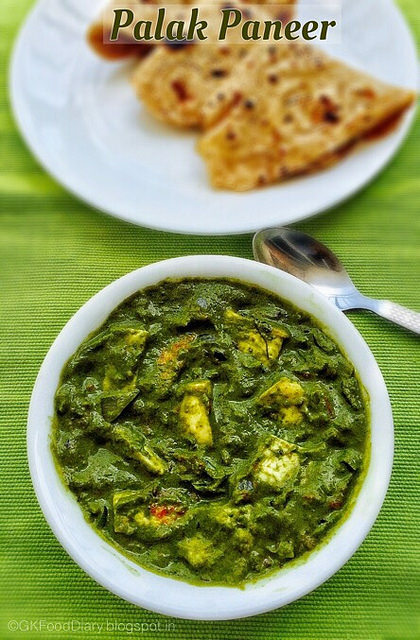 Palak paneer is a famous North Indian Punjabi recipe made with cooked Indian spinach and fried paneer. 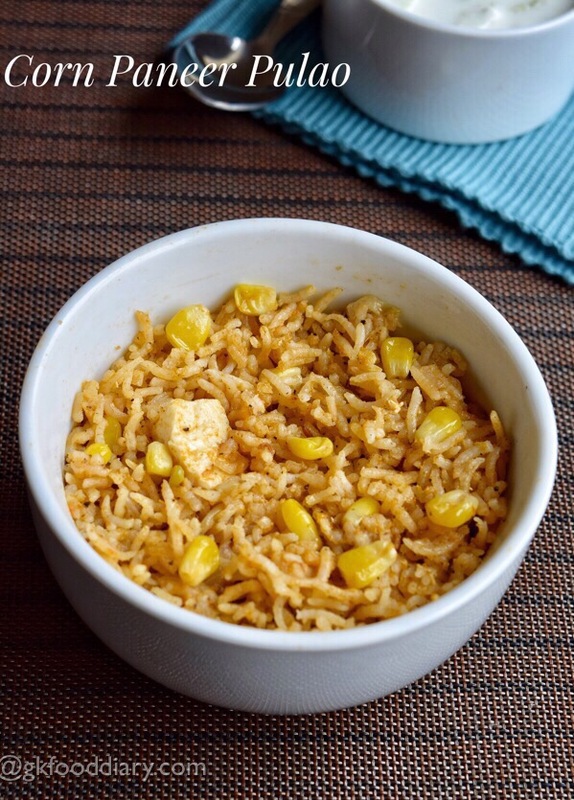 It has a smooth and creamy consistency, and the paneer cubes will melt in mouth while eating. It goes well with rice, Chapati or Roti. 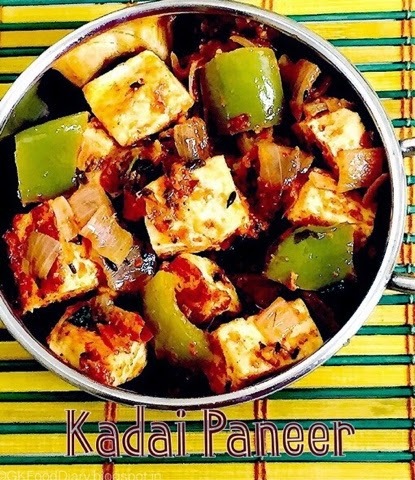 This kadai paneer recipe is a semi-dry version with freshly ground spices and capsicum. It goes well with rice, Chapati or Roti. 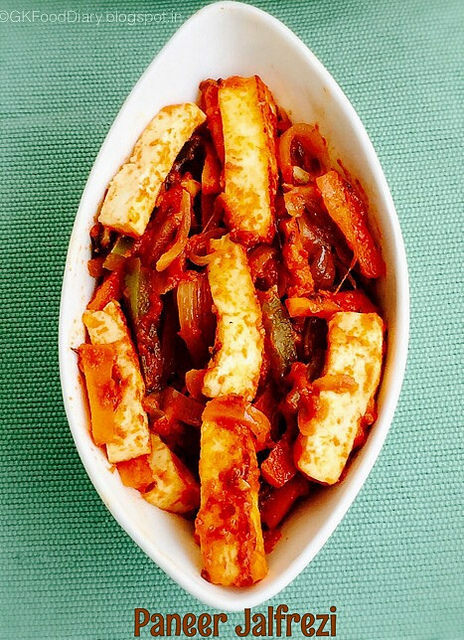 Paneer Jalfrezi is a medium spicy curry made with vegetables and paneer. It goes well with rice, Chapati or Roti.